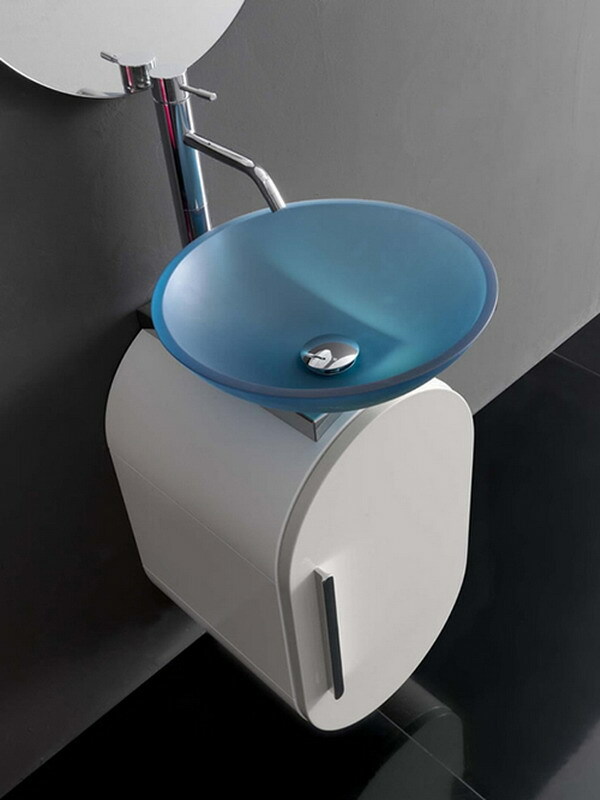 Lasa Idea has designed the innovative, ultra-modern Flux Collection, which features futuristic wall mounted vanities that incorporate bowl sinks. 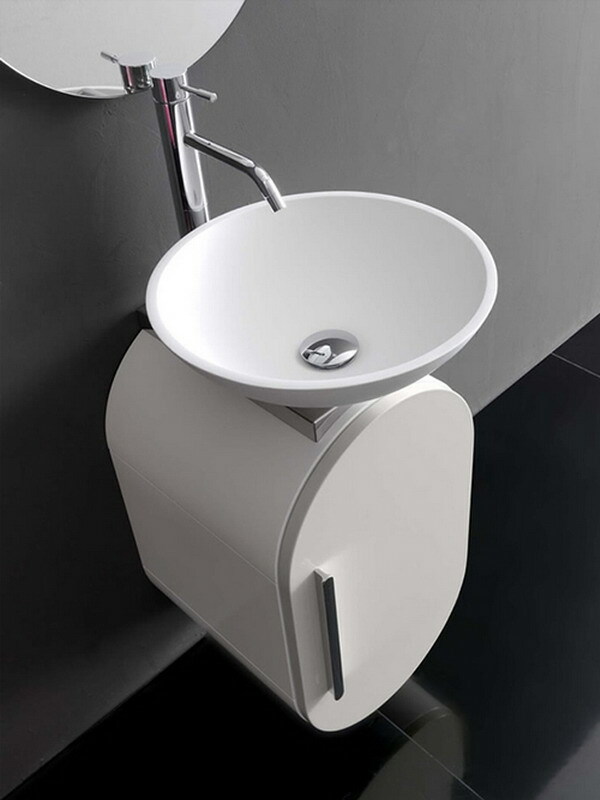 The modern bathroom furniture, which is handcrafted in Italy, provides sleek and clean lines. 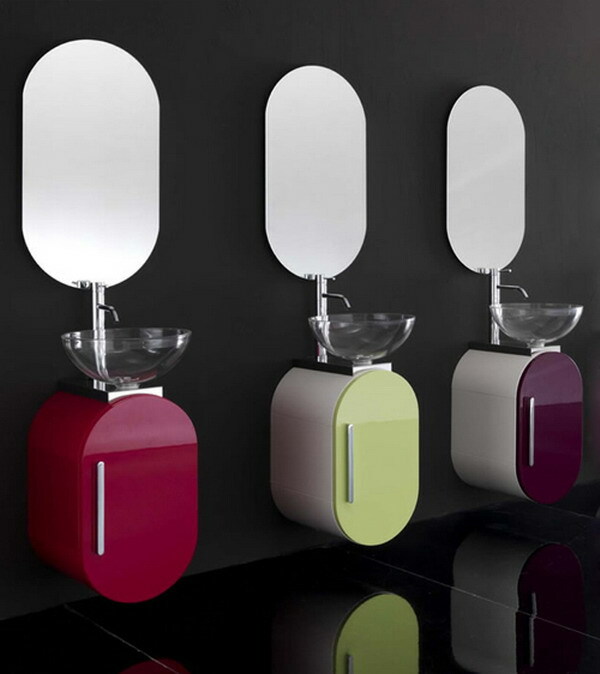 The vanities are very different from all other modern bathroom vanities. 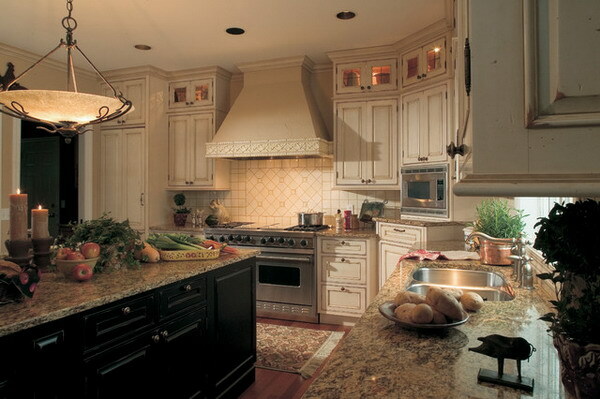 The pieces are oval-shaped and the front cabinet door comes in a variety of colors ranging from purple to yellow to red. Overhanging oval mirrors continue the fashionable oval scheme. Who says modern design has to be square? The bowl sinks also come in more than one color. 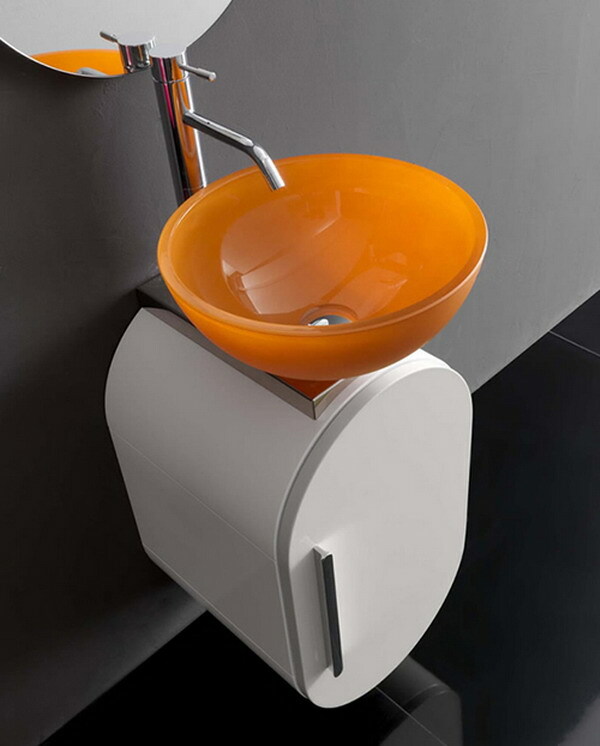 The orange sink is especially unique and the blue one is tranquil and serene. An all red vanities will become the focal point of a room. Talk about a stand out piece of furniture! There is a style and color for every color scheme in your contemporary bathroom. A mounted vanity is the perfect modern bathroom furniture piece to add a little spice and interest to your room. It can accent an already modern space or create the perfect contemporary touch to add some appeal to a plain, boring space. Legless vanities are also easy to clean under. A mop or broom can easily reach under the floating pieces. Stainless steel handles and sink fixtures heighten the contemporary mood. The accents are perfect to complement a modern, contemporary design style. 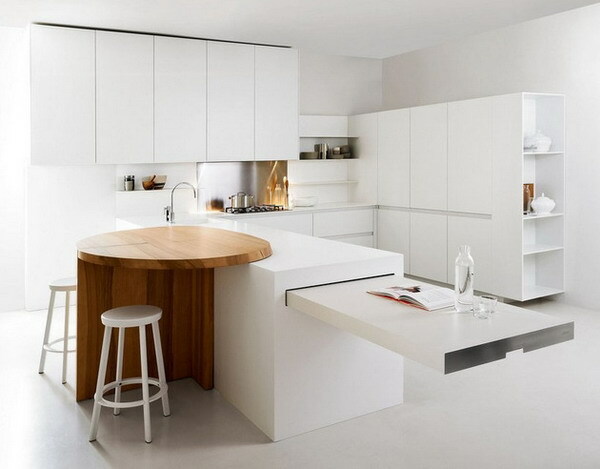 The only drawback of these modern pieces is the small amount of storage space and lack of counter space and the units only have two shelves underneath the sink . This is an easy fix, though. 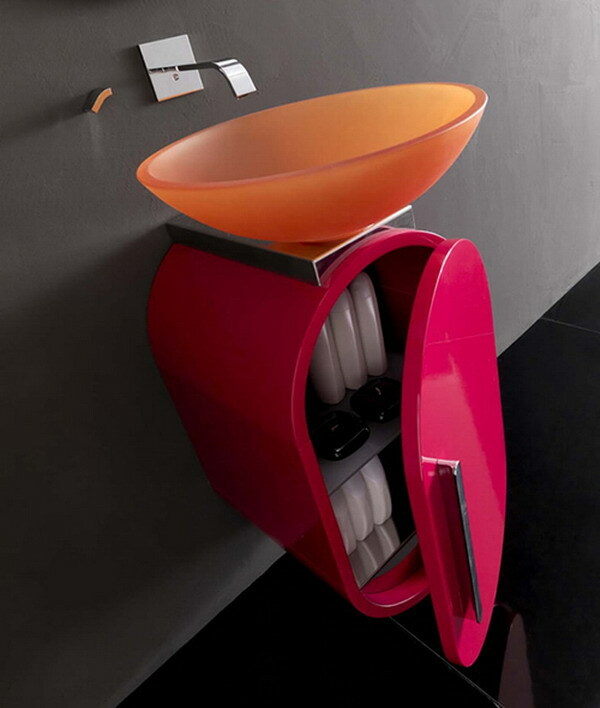 Storage can be added to a bathroom space easily in many ways. A bookshelf can be utilized for linens and cubbies can be used to hide away toiletries.